McDougalls Power Equipment and GlobalNet Academy’s Chainsaw course is underpinned by a nationally recognised unit of competence. This unit is: AHCMOM213 – Operate and maintain chainsaws. 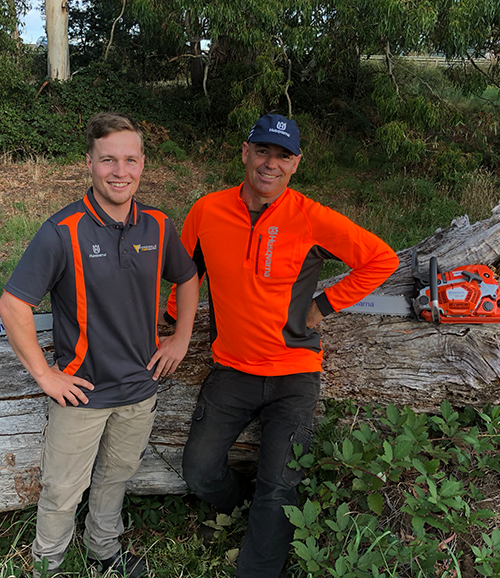 McDougalls Power Equipment and GlobalNet Academy have teamed up to provide Tasmanian’s with a quality chainsaw course. McDougalls and GlobalNet’s course is designed to help you better understand chainsaws, what you need to do to be safe when using them, how they work and what you need to do to maintain them to ensure they continue to operate at peak performance. 1 or 2 days depending on numbers. If there is a second day, it will be primarily for practice and assessment. Participants who demonstrate competency on the first day may finish at the end of day 1. The cost of the course is: $280. No GST is payable on this course where you enrol to obtain a statement of attainment. What will you get if you successfully complete the course? 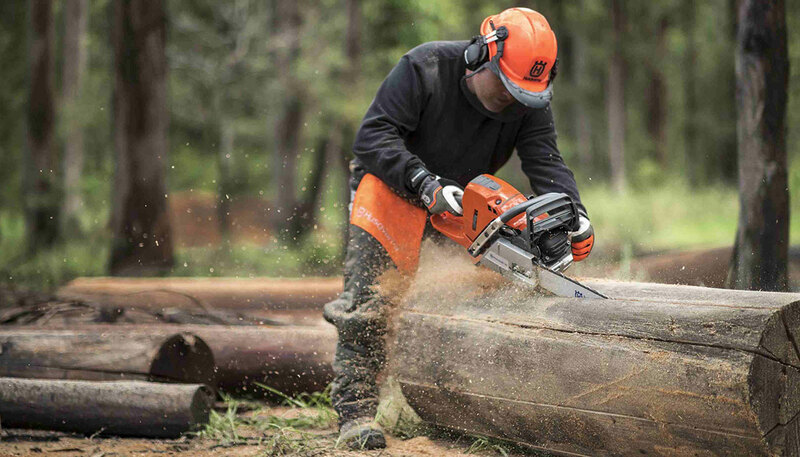 Participants who successfully complete the course (by attending the workshop AND satisfactorily completing all the assessments) will be issued with a nationally recognised statement of attainment detailing that they have completed: AHCMOM213 – Operate and maintain chainsaws. This unit can be counted towards a range of full qualifications in horticulture or agriculture. This unit is included in the AHC20416 Certificate II in Horticulture which is in GlobalNet Academy’s scope of registration. those work in many other industries. If you would like to participate in the course BUT NOT undertake the assessments, you are welcome to do so. To do this, please download this form: The cost is the same. If you want to complete the course AND obtain a certificate of attainment, please complete the enrolment form below. This online form is your enrolment application. By completing this online form, you are REQUESTING enrolment into one of our courses. Enrolment is not guaranteed and may be subject to an interview or to other prerequisites. GlobalNet Academy reserves the right, in our absolute discretion, to refuse entry to any of our courses on any grounds. Enrolment into your chosen course is generally by application AND interview. Unless we believe that there are some very obvious reasons why you should not be part of the course, you will generally be successful UNLESS the course is over‐subscribed. If this is the case, we will choose the best applicants. If you are successful, your enrolment application will become the basis of your enrolment. We need to ask a number of different questions for our reporting obligations to State and National Regulatory bodies. We trust that the form will be straight forward and easy to complete. We appreciate your patience in completing it. Your can read more about what a Unique Student Identifer is here: https://www.usi.gov.au/about. If you do not have a USI, you will need to register online with the government to obtain one. The process is free, confidential and quick. You can create a USI here: https://www.usi.gov.au/students. Many of the question fields are mandatory and you will be required to enter information into these fields. You can tell if a questions is mandatory if it has an asterix (*) next to it. We treat your information confidentially so any information that you provide to us will NEVER be divulged to third parties unless we have your permission to do so OR we are required by law to do so. If you have a mobile phone number, we ask that you provide this as well. We often contact students by email AND by text message so having your mobile phone number allows us to contact you quickly and easily. To enrol, please choose the “Certificate I in Agrifood Operations” from the list below and then choose which location you are attending. Media Release Consent. I consent to my image being used. We may from time to time take photos or images of people in our courses and use those for education and marketing purposes in both digital and paper format. In most cases these will be images of you taking part in a course or being part of a group. To do this, we ask that you authorise GlobalNet Academy to use your picture, portrait or photograph in all forms of media including electronic media for any lawful advertising or promotion. We understand that you can revoke this authority at any time by contacting us in writing and revoking the authority. Response to the question "How well do you speak English?". Only applies if the English is not the participant's primary language. The Unique Student Identifier (USI) uniquely identifies an individual who accesses vocational education and training over his or her lifetime. I agree to the terms & conditions. I agree to the refund policy.